When Tan Sri Adenan Satem took up the mantle of leadership as the new chief minister of Sarawak last March, it answered a longstanding question of who replaces Tan Sri Abdul Taib Mahmud (now Tun), who holds the record as the longest-serving state chief executive in Malaysia. The appointment of the 70-year-old lawyer-turned-politician as the fifth chief minister highlighted the political events that unfolded throughout 2014 in Sarawak as it put to rest years of speculation on who would take over from Taib, who called it a day on Feb 28 after 32 years at the helm. Adenan’s appointment also gave a new breath of fresh air for the people of Malaysia’s largest state. In the beginning, some quarters were skeptical about Taib’s choice but within just eight months into office, Adenan was already making his mark as the right man for the job. Dealing with Balingian, the state assembly seat vacated by his immediate predecessor, was Adenan’s first task as he is also the Sarawak Barisan Nasional (BN) chairman. The by-election was also seen as a test of popularity for him as BN sets a target to win the Melanau-dominated Balingian constituency with a bigger majority. To fill in the big shoe left by Taib was a 48-year-old former district officer Yussibnosh Balo, who was picked as the candidate to carry the BN flag to win the 13,000-odd registered voters. The bigger majority of 6,911 votes in the March 29 by-election was even sweeter when BN won in all the 10 polling districts in Balingian – something which was never achieved before – a victory that had given Adenan some leverages to settle certain outstanding issues involving the state. One of them was on the need to raise the oil and gas royalty for Sarawak and on May 6, history was carved when all the state assembly members from both sides of the political divide supported a bill for the royalty to be increased from the current five percent to 20 percent. The state assembly’s decision came as the first official stand from the legislators on the issue, which had been part of almost every Sarawakian’s topic of discussion whenever they compared the progress of development attained in the peninsular with their state. When winding up for the assembly on Nov 19, Adenan said the negotiation with Petronas to increase the royalty had been progressing well with some early success being scored by the state government. Among them were 10 percent equity in its Malaysia Liquefied Natural Gas (MLNG) plant’s new processing train, natural gas allocations for Sarawak’s power and non-power sectors, more contracts for Sarawak companies, education and technical training fund and more corporate social responsibility (CSR) programmes. “The federal government has indicated that they are seriously considering the royalty request by the state government by increasing the cash compensation in lieu of oil and gas rights,” Adenan said, while reminding that the negotiation was still ongoing and the final results could not be expected too soon. Another scenario that cropped up in Sarawak this year that put his negotiation skills to the test was to unite the warring factions in the two state BN component parties, Sarawak United People’s Party (SUPP) and Sarawak Progressive Democratic Party (SPDP). On May 15, 11 BN elected representatives in Sarawak which also included two state cabinet members and four assistant ministers, dropped a bomb shell by announcing that they were quitting SPDP and SUPP respectively to join forces in a new entity called Parti Tenaga Rakyat Sarawak (Teras). Sarawak Social Development Minister Tan Sri William Mawan Ikom, who is also SPDP president, as well as Second Minister of Finance and former SUPP assistant secretary-general Datuk Seri Wong Soon Koh were among the exodus who claimed to have been victimised by the power struggle in their former parties. Sharing their struggles were assembly members Datuk Peter Nansian Ngusie, Datuk Sylvester Entri Muran, Rosey Yunus and Paulus Palu Gumbang (all former SPDP members), Datuk Dr Jerip Susil, Dr Johnical Rayong Ngipa and Ranum Mina (all former SUPP members). The political scenario in Sarawak took another turn on July 17 when Soon Koh together with his allies, who were former SUPP members, announced that they were joining another new party called United People’s Party (UPP). 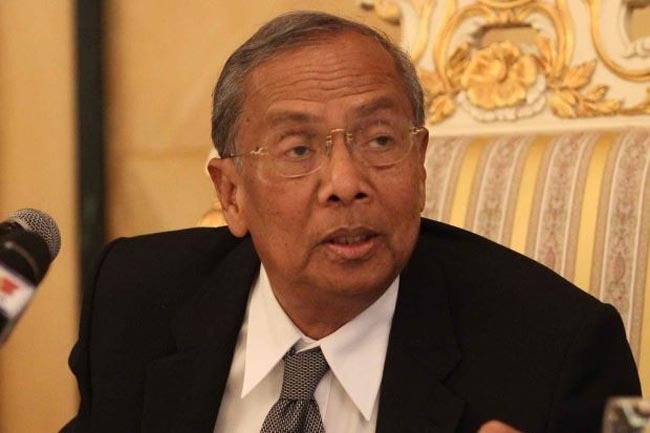 Adenan had conceded that the emergence of Teras and UPP had affected the BN Sarawak’s strength and solidarity to a certain extent and he would require some time to work out a suitable solution for the problem. “The opposition parties are and may stand to gain (out of the issue) but I’m working out a solution… I cannot solve the problem there and then. Give me time, maybe one or two years to do so,” he said at a gathering in Sibu on Aug 4. Aside from politics, Adenan had also made several crucial decisions that had not only won the praises of the state government supporters but also the opposition. Among them was being the first state chief executive in Malaysia, according to the Malaysian Anti-Corruption Commission (MACC), to sign an integrity pledge to fight corruption when barely three months into office. The new chief minister had also emphasised on improving the state law enforcement to curb illegal logging, which he said had devastated Sarawak’s forest resources and related them to corrupt practices. He also had reiterated Sarawak’s stand against racial and religious extremists by stating that the State had the autonomous power to prohibit anyone deemed trying to carry such elements from stepping into Sarawak territory. These were just among the few measures taken by Adenan within the first 11 months of his appointment but with the determination that he had shown to “walk his talk”, his rise as Sarawak’s new chief minister deserved to be accorded the Sarawak’s story of the year.